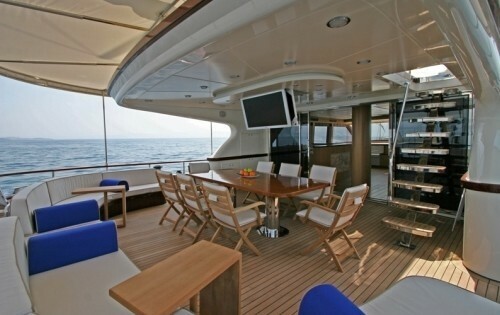 Motor sailor GETAWAY is a 31m yacht built by Serenity in 2009. 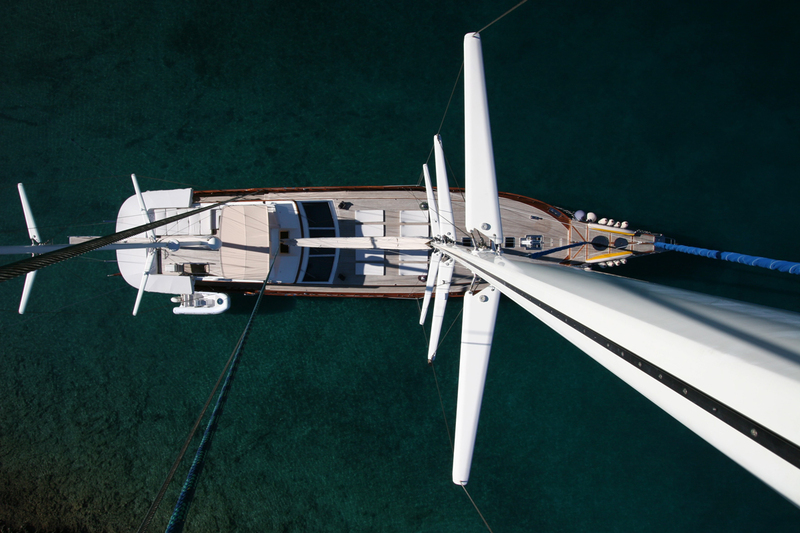 S/Y GETAWAY’s sail plan and deck layout were designed with a high level of cruising performance in mind whilst still ensuring this yacht is simple, safe and enjoyable to sail. 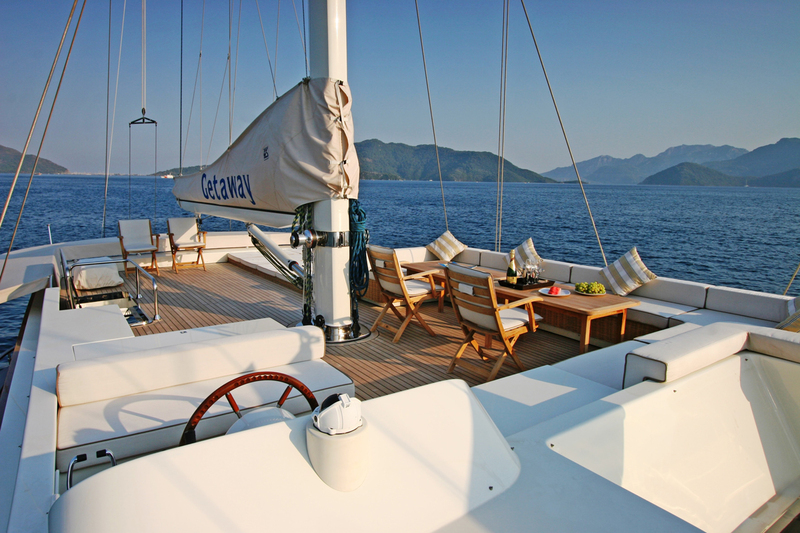 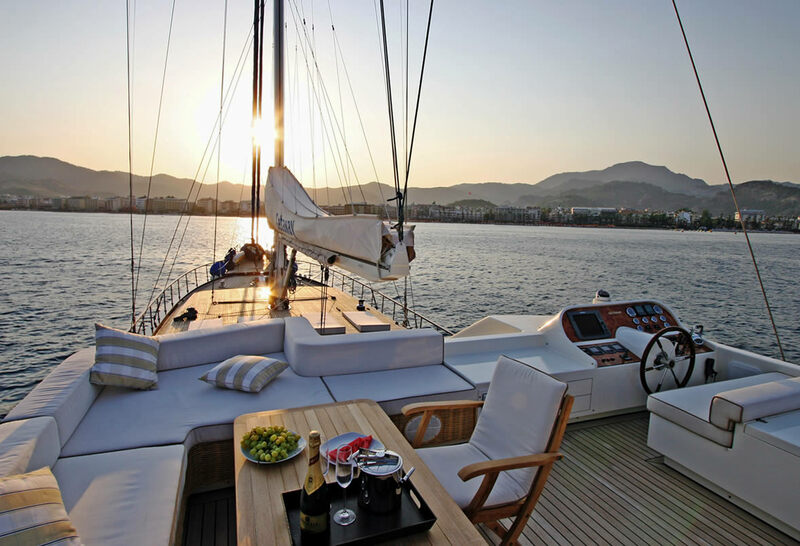 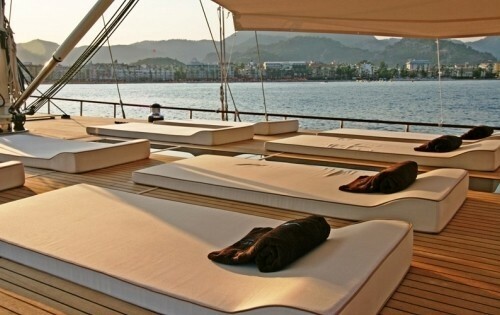 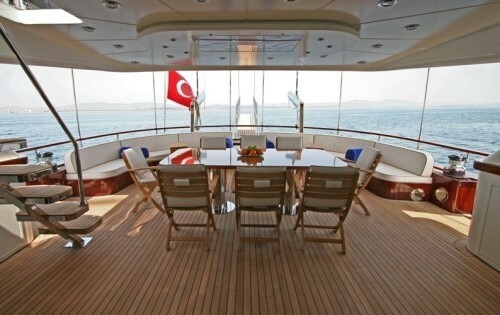 Gullet GETAWAY is based in Bodrum year round and is available for charters with up to 8 overnight guests in Turkey and the Eastern Mediterranean. 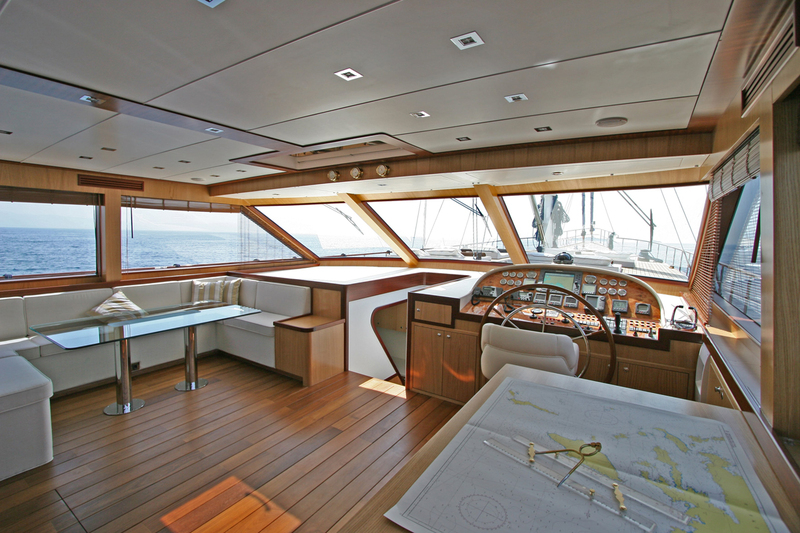 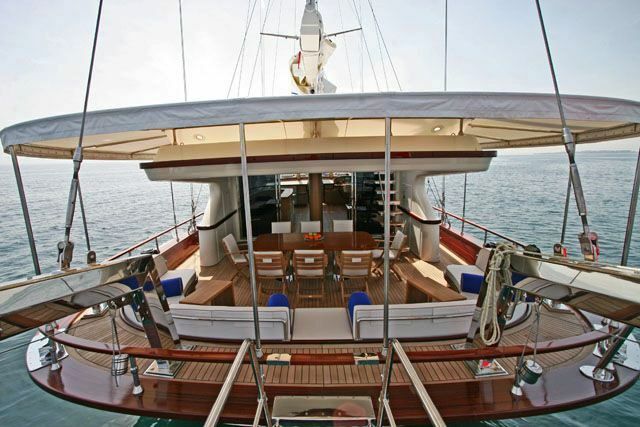 This motor sailor is one of the most luxurious yachts available for charter in the Eastern Mediterranean. 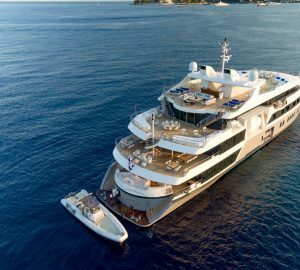 She certainly does provide an excellent GETAWAY for those lucky enough to charter her. 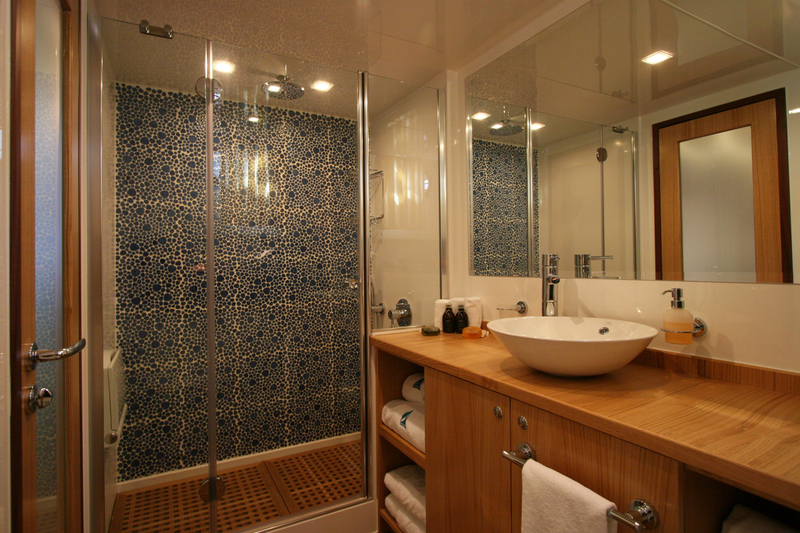 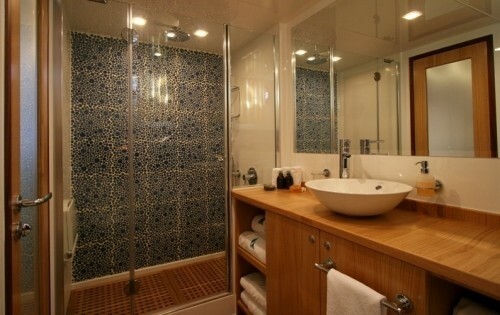 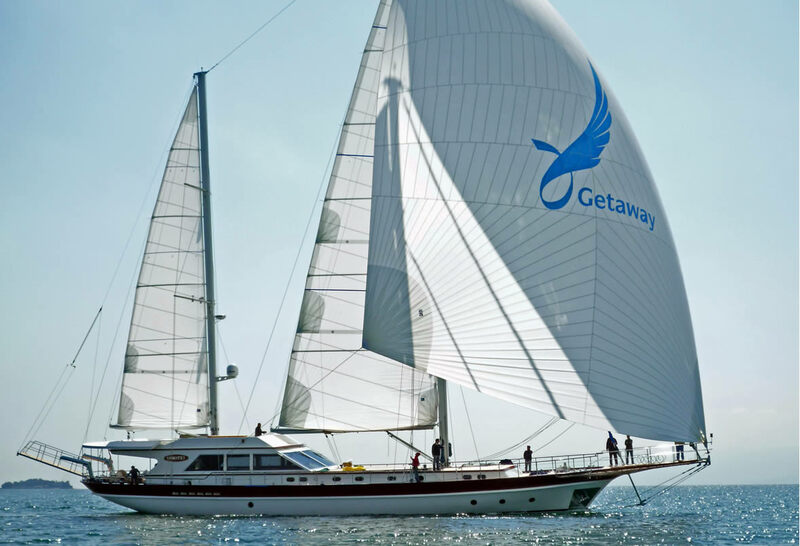 Gullet GETAWAY was launched in 2009 and was designed to be modern yet traditional. 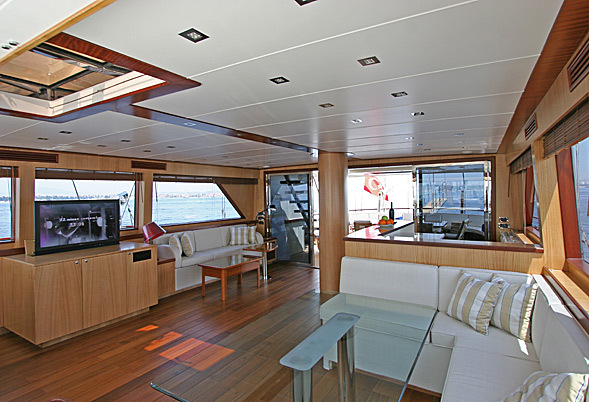 GETAWAY provides the ultimate comfort outdoors and indoors with her open and spacious design with light coloured interiors. 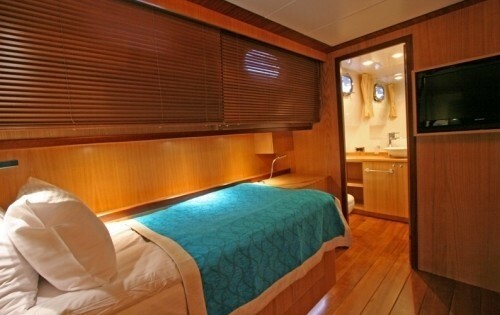 She features very comfortable cabins, a spacious and stylish salon and a vast number of amenities. 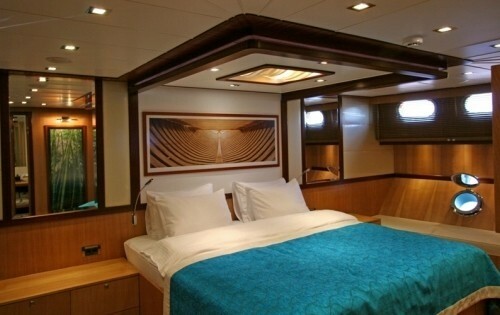 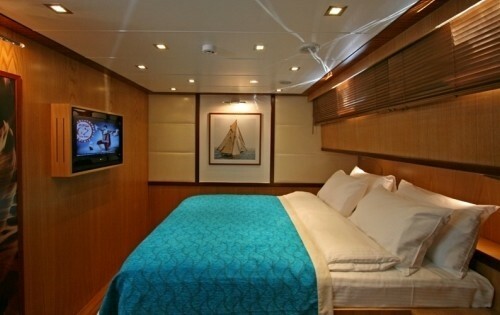 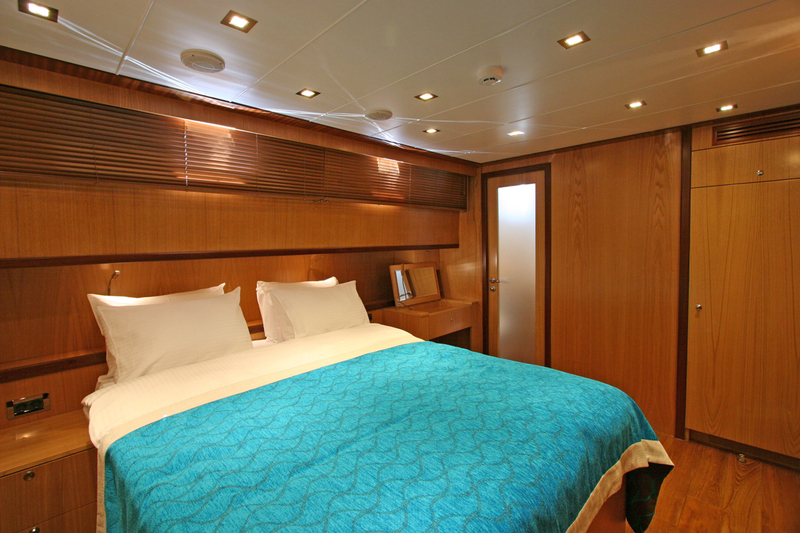 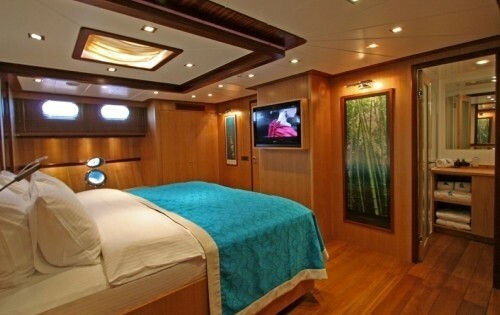 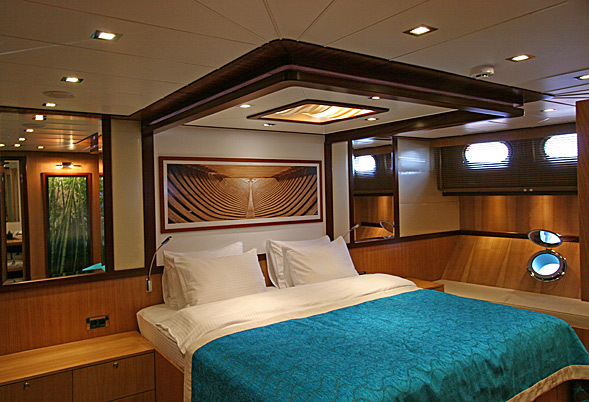 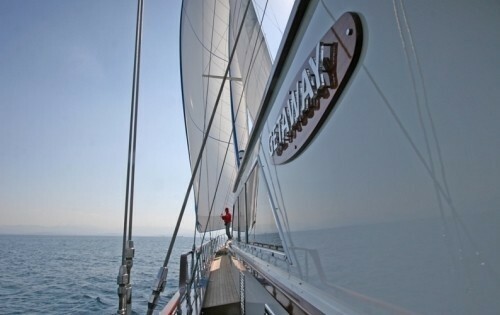 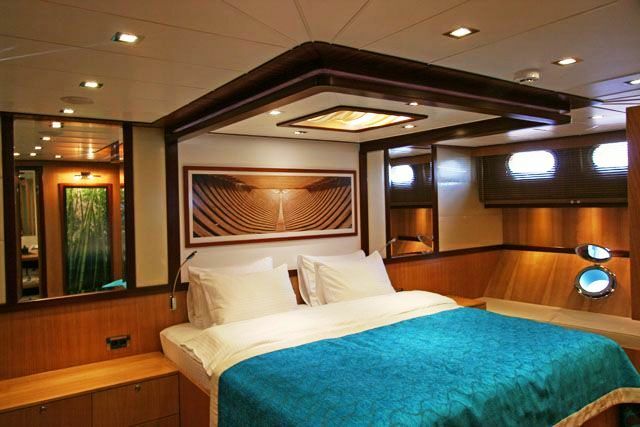 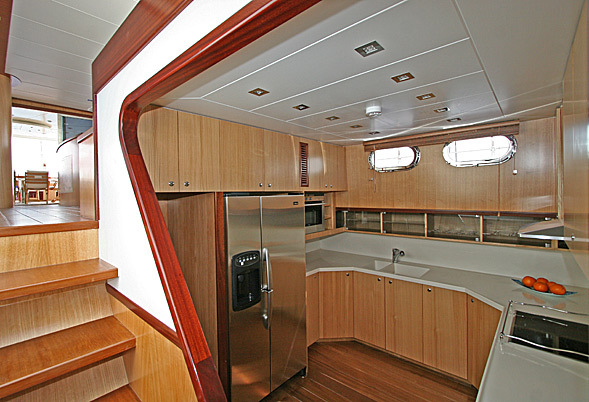 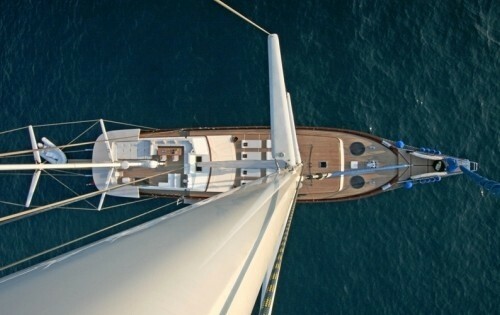 S/Y GETAWAY is able to accommodate up to 8 guests in 4 staterooms. 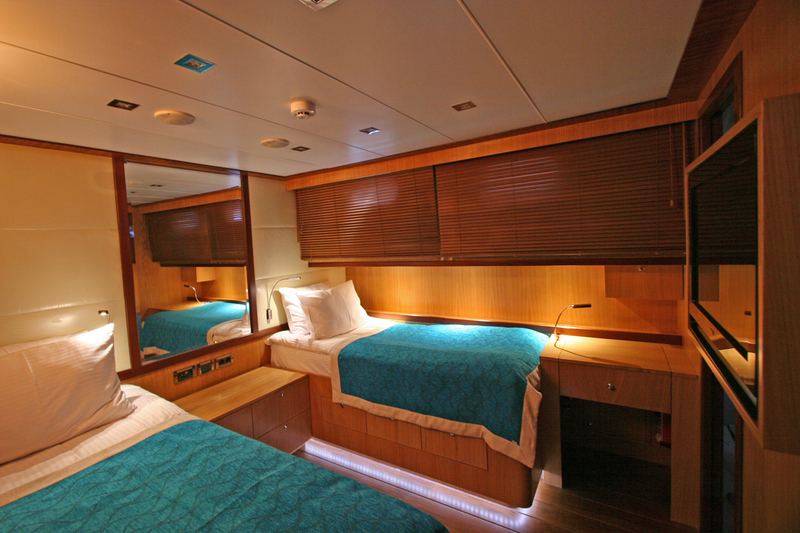 The cabin configuration consists of a master cabin with a Californian King size bed, a TV and entertainment system with air conditioning and a private en-suite. A VIP guest cabin with queen size bed, TV and entertainment system, A/C and ensuite and 2 twin Cabins that are convertible into king size double cabins, each with a TV and entertainment system, A/C and an en-suite. 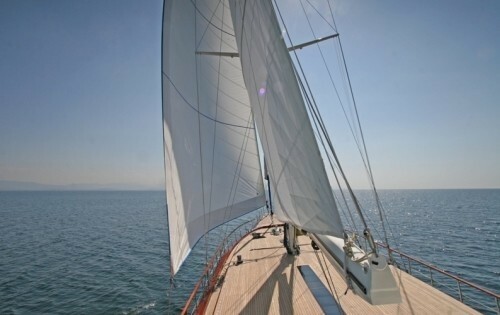 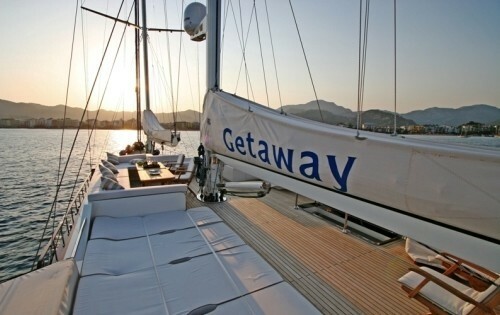 Sailing yacht GETAWAY may be new but her crew are certainly well experienced. 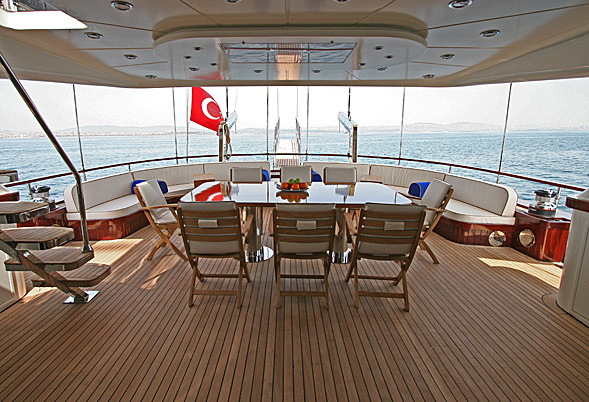 Led by Captain Sakin Biyik who has over 10 years experience as a charter captain, the crew of 4 is very friendly, English speaking, and all have served on luxury yachts. 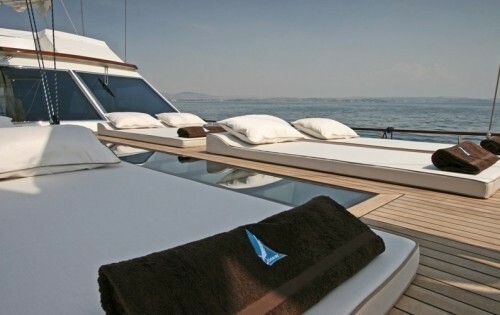 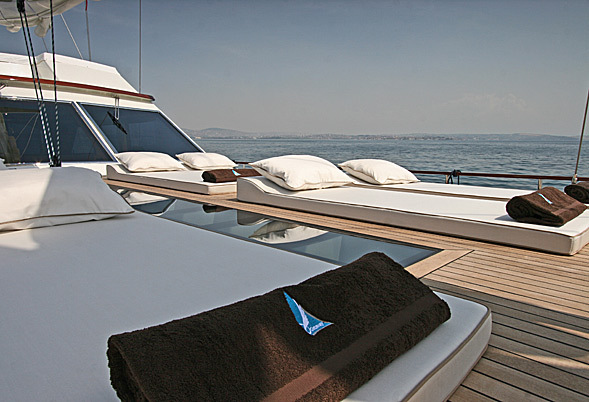 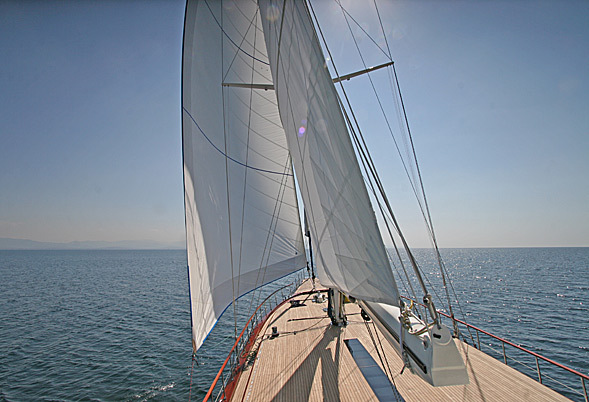 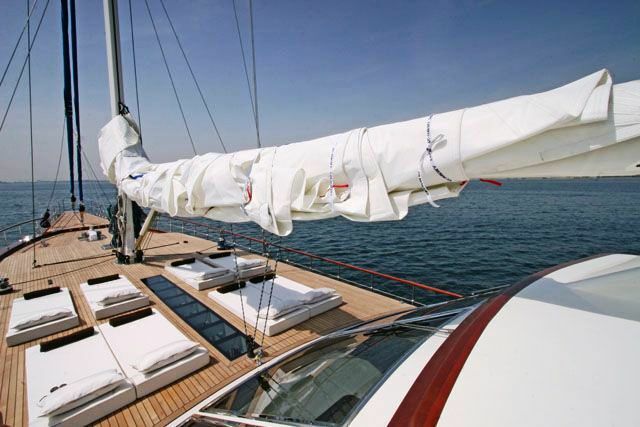 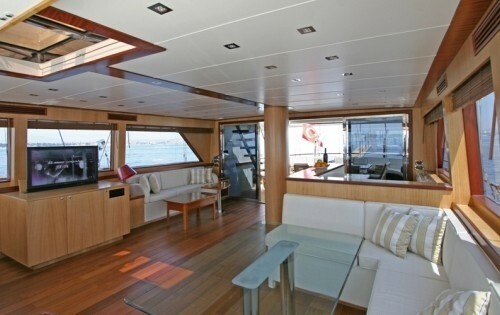 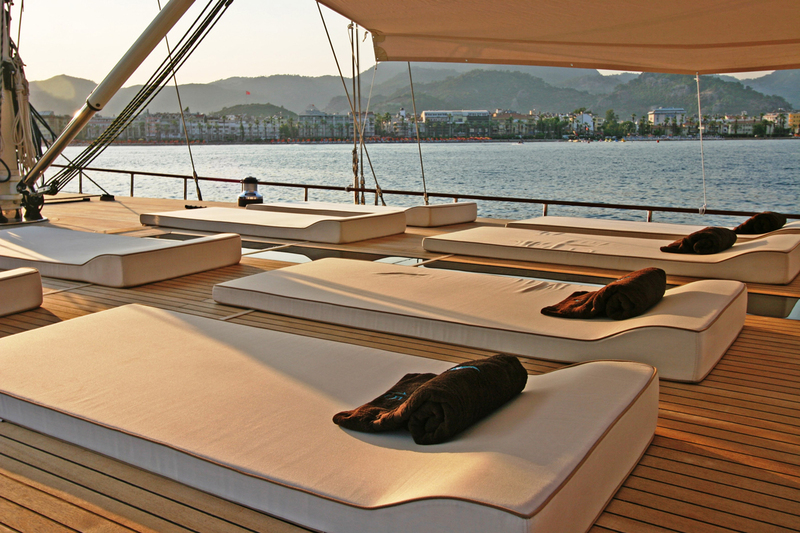 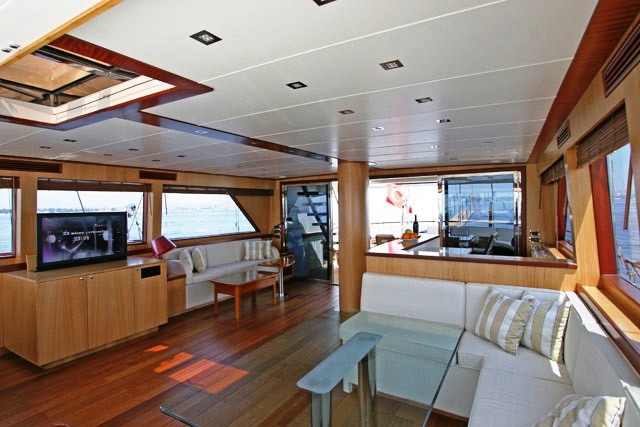 Sailing yacht GETAWAY is able to accommodate up to 8 guests in 4 staterooms. 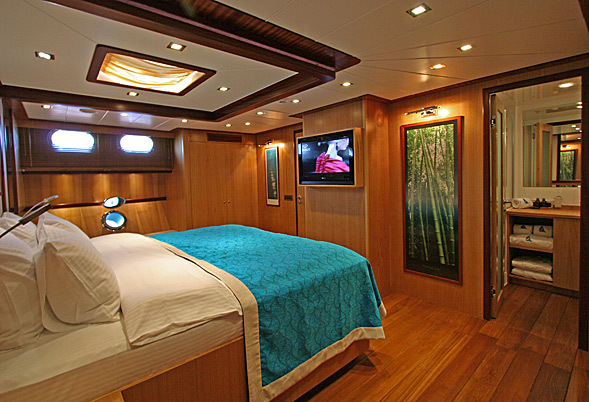 The cabin configuration consists of a master cabin with a Californian King size bed, a TV and entertainment system with air conditioning and a private en-suite. 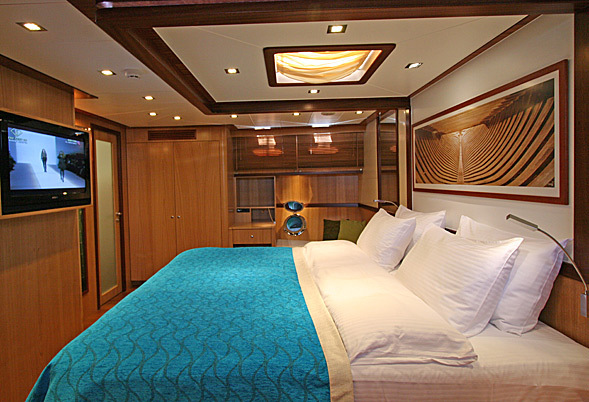 A VIP guest cabin with queen size bed, TV and entertainment system, A/C and ensuite and 2 twin Cabins that are convertible into king size double cabins, each with a TV and entertainment system, A/C and an en-suite. 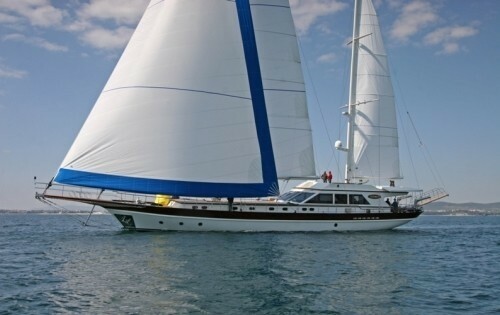 Motor sailor GETAWAY has the following extras onboard: Tenders & Toys include a Service boat 75hp, 4.80m JOKER (8 pax), Waterskis, a Wakeboard, a Monoski, a Kneeboard, 2 Single person canoes, Snorkeling equipment and Fishing equipment. 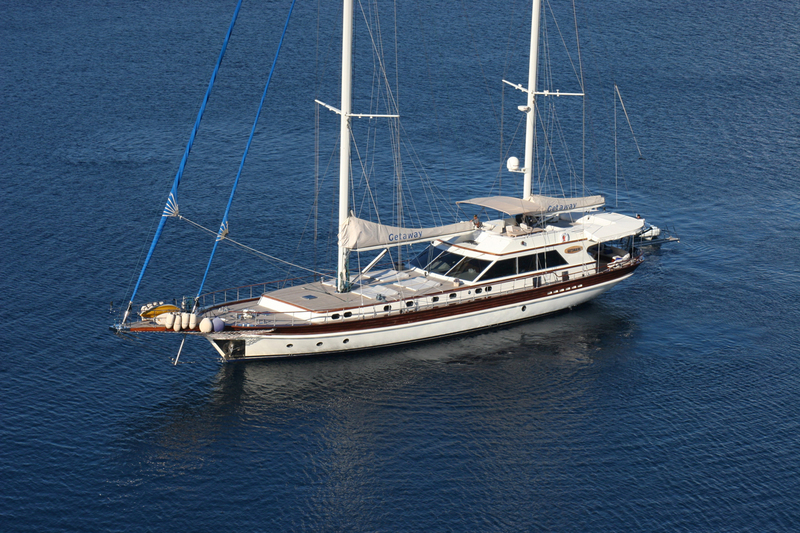 Communications include Free internet connection. 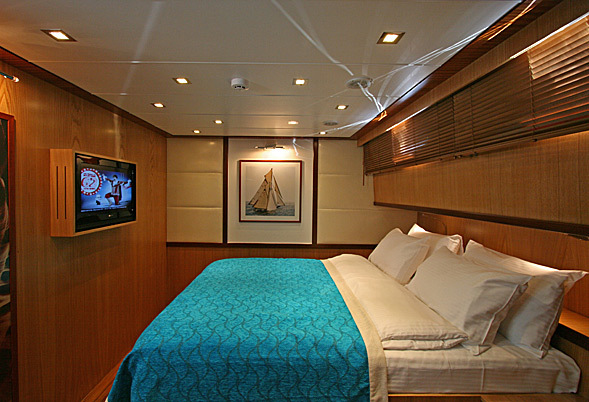 Audio Visual Equipment and Deck Facilities include Playsation 3 console with games, Satellite TV, DVD, CD, radio in all rooms and indoor living, iPod connection entre, DVD and CD collection, Thru-Hull lights and underwater camera.